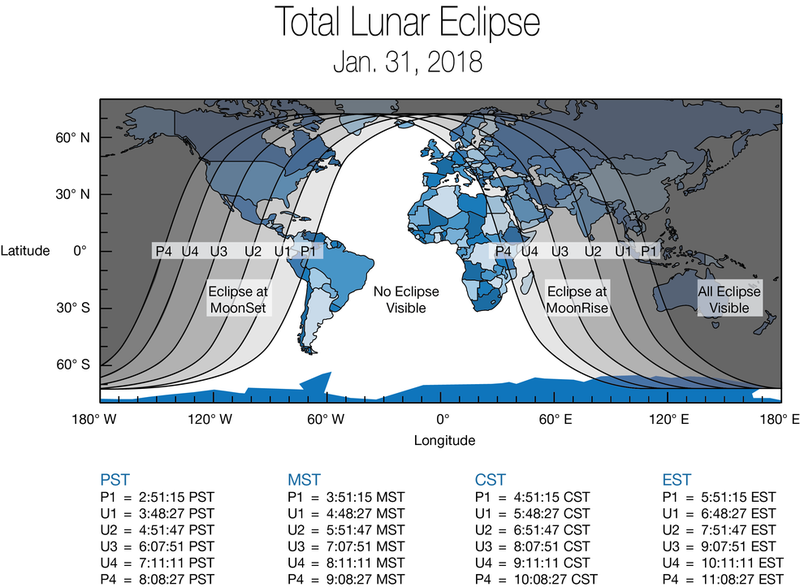 This is the eclipse being touted as the "Super Blood Blue Moon Eclipse". Sadly, Baton Rouge will be poorly placed for this event. It will take an extremely low western horizon to see the Earth's shadow begin to creep onto the Moon's surface as the Moon sets, and then the Sun rises! Both NASA-TVs will have live coverage of the event beginning at 4:30am CST.